You can share your Watchlists and items you store in your Locker with your fellow team mates as well as Insight Providers on Smartkarma. 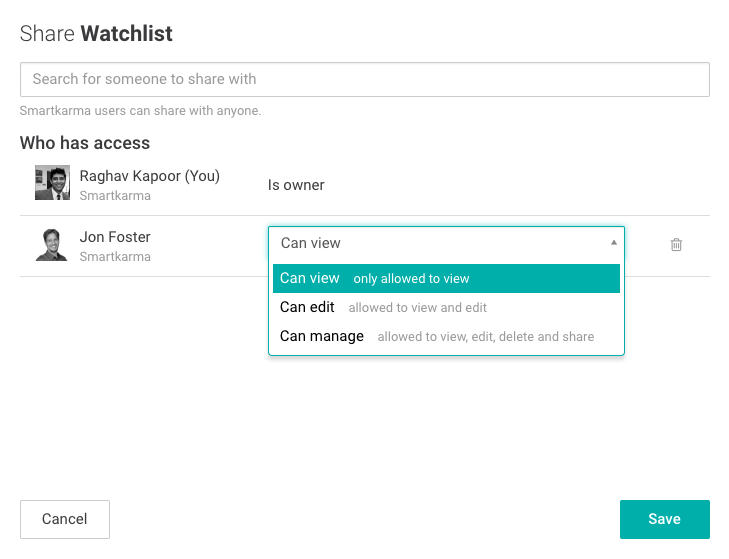 When you share, you can control whether others can edit, manage or only view these items. 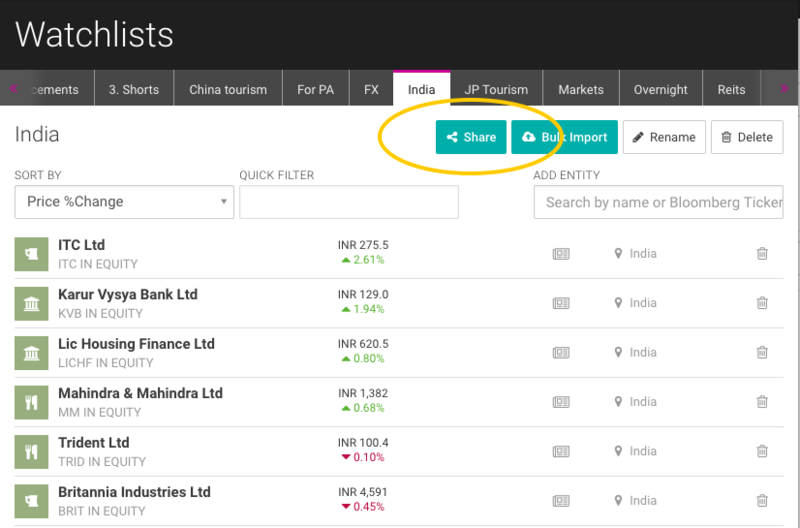 The Share Button Changes colour to indicate your Watchlist has been shared. The shared users will receive a Notification, as well as an email informing you've shared an item with them. The Share Button Changes colour to indicate your Locker Item has been shared. Shared items will appear in your Locker, and will also show up in your search results allowing your to easily discover them.